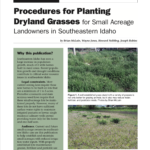 Several institutions have prepared excellent guidance resources in planting a variety of native and introduced species. 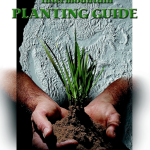 Planting time varies and depends on the climate, rainfall patterns and species you are planting. Generally speaking, plant late enough in the fall that your seed remain dormant and do not germinate until spring. Certain species can be planted in early fall if there are at least 10-12 weeks of growing time before the plants go into winter dormancy. Certain species, notably Kochia prostrata, should be planted in mid winter and germinates best if broadcast in snowy, cold conditions. Most native species perform best in disturbed soils. Loosen compacted soil by scraping, tilling or scarifying. If soil is tilled, take care not to plant seeds deeper than 1/4 inch. Planting rates will vary drastically within species. Refer to the recommendations for each species. On average, a range mix will be planted from 10 pounds to 18 pounds per acre. Planting rates will vary from site to site depending on annual rainfall, aspect, slope, soil type and the end goals of your project. For most natives, broadcasting is the most common, but drilling is also widely used. Most natives should be planted no deeper than 1/4 inch and seeds are seldom, if ever, burried. Planting time varies and depends on the climate, rainfall patterns and the species in the mix. Generally speaking, plant late enough in the fall that your seeds remain dormant and do not germinate until spring. Mixes can be planted in early fall if there are at least 10-12 weeks of growing time before the plants go into winter dormancy. Refer to mix instructions for additional information. Most of our pasture mixes perform best in disturbed soils. Loosen compacted soil by scraping, tilling or scarifying. If soil is tilled, take care not to plant seeds deeper than 1/4 inch. Planting rates average about 20 pounds per acre broadcast, 16 pounds per acre drilled. Refer to the recommendations for each species. Planting rates will vary from site to site depending on annual rainfall, aspect, slope, soil type and the end goals of your project. Broadcasting is the most common method, but drilling is also widely used. In either method, our pasture mixes should be planted no deeper than 1/4 inch and seeds should never be burried. Planting time varies and depends on the climate, rainfall patterns and species you are planting. Generally speaking, However, annuals and perennials or annual/perennial mixes perform best when planted in spring, early summer or late fall. Plant late enough in the fall that your seed remain dormant and do not germinate until spring. Perennials can be planted in early fall if there are at least 10-12 weeks of growing time before the plants go into winter dormancy. In mild climates plant during cooler months for best results. For best results plant on cleared ground. Remove all weeds, grasses and existing vegetation before planting. Loosen compacted soil by scraping, tilling or scarifying. Tilling should be utilized only when soil is very compact. If soil is tilled, take care not to plant seeds deeper than 1/4 inch. A planting rate in the minimum range is usually sufficient to establish a good stand of wildflowers on prepared soil with adequate maintenance. The maximum rate is recommended when adequate soil preparation and weed control are not possible, or when a maximum display is required. Poor perennial establishment may result if the maximum seeding rate is exceeded. A minimum and maximum planting rate is given for each mixture. There are 3 common planting methods. Broadcasting is the most common. Broadcast: This method is the most simple and common planting process. Rake seeds in lightly, covering them no more than 2-3 times their thickness. Some seeds will show on the surface. 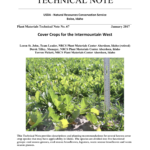 Excessive cover on will result in poor germination. Drilling: Drilling is often used on large plots, roads, golf courses or reclamation projects. Drill to a maximum of 1/4 inch. Seeds planted deeper than 1/4 inch will likely not germinate. Hydroseeding: If hydroseeding is the method of application, hydromulching will provide a top cover. Planted areas MUST be kept consistently moist for 4-6 weeks during the growing season until seedlings are well established. During this period, daily watering may be necessary if rainfall is inadequate. Thereafter, watering should be gradually reduced. Weed Control: Monthly weed control is essential to a healthy and satisfying wildflowers stand. Weeds should be eliminated as soon as they can be recognized either by pulling, spot-spraying with a general herbicide, or selective cutting with a string trimmer. Fertilization: Fertilizers are usually not necessary for wildflower plantings. If soil fertility is very low, however, a low nitrogen fertilizer can be used. Organic matter such as compost. If you suspect a problem with soil fertility, we recommend a soil test and/or plant tissue analysis. Supplemental Watering: Water is critical to wildflower maintenance. In moist climates, regular rainfall may make supplemental watering unnecessary. In arid climates or during drought conditions, up to 1/2 inch of supplemental water per week may be required to maintain an optimal display. Reseeding:If long-lasting color from annuals is desired it is best to reseed annuals every year. 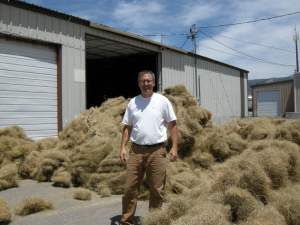 In the fall remove dead seed stalks and excessive plant material by mowing or cutting to a height of four to six inches. Perennial plantings can be reseeded if there are bare spots in the area. Spring reseeding should be completed as soon as the ground is workable. Fall Mowing and Cleanup: For a neat appearance, mow wildflowers to a height of four to six inches after they have “gone to seed”.